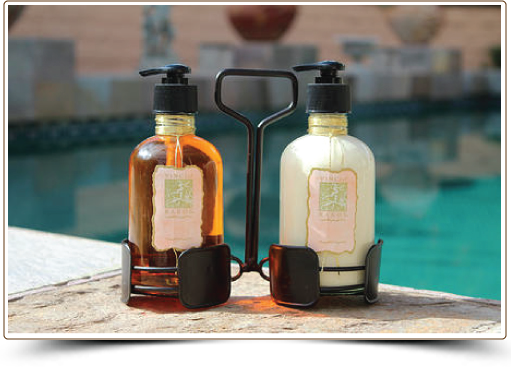 What a great way to present and experience two of your favorite bath and body care products: the Moisturizing/Therapeutic Bath & Shower Gelee and Moisturizing Body & Massage Lotion. Placed in your bathroom or kitchen, this unique design provides a handy holder to display in your home. The sturdy, black metal stand holds a duo of 8.4 fl oz apothecary style bottles ideal for the two products.